You probably know by now that indulging in fast food is rarely a wise decision. Usually higher in calories, sodium content, largely processed and low in nutrients, the best course of action is to stay away from these restaurants. But even once you’ve sworn off of eating fast food altogether, some of their more popular choices might still linger in your mind. Consider these ten versions of your favorite fast food menu items first. This British comfort meal can now be made with a lighter batter and served with delicious red potatoes. Preheat oven to 450 degrees F. In nonstick 15 1/2-inch by 10 1/2-inch jelly-roll pan (or pan lined with nonstick foil), toss potatoes, 1 tablespoon oil, 1/2 teaspoon salt, and 1/4 teaspoon black pepper until coated; spread in single layer. Roast potatoes 30 to 35 minutes or until golden and tender, turning over once halfway through roasting. In nonstick 12-inch skillet, heat remaining oil over medium-high heat. Add cod; cook 4 to 6 minutes or until cod turns opaque in center, turning over once. 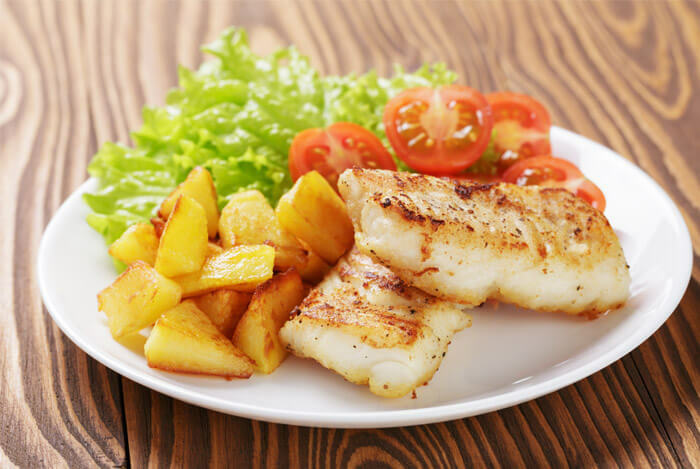 Serve with potatoes and lemon. This recipe is a bit of a challenge. But if you can pull it off, you’ll have a newfound appreciation for the art of crafting the perfect onion rings. 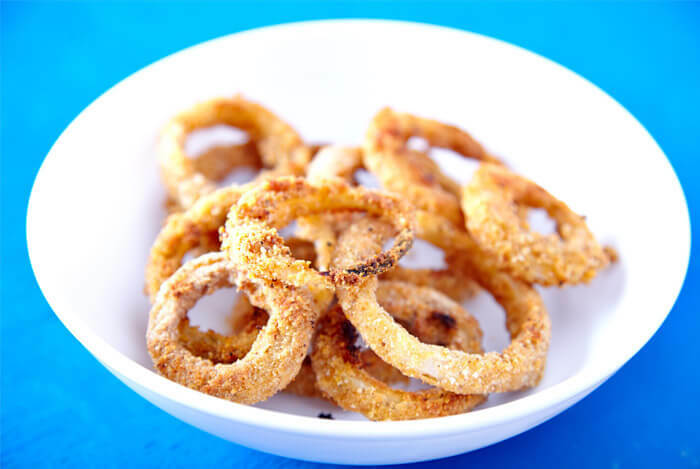 At least 4 hours ahead of time, place the sliced onion rings into a large dish and pour buttermilk over top. Cover tightly and store in the refrigerator. In this step, you are soaking the onions, which will tenderize them. Soak them for at least 12 hours for the best taste. Preheat oven to 425°F (218°C). Line two large baking sheets with parchment paper or silicone baking mats. In a medium bowl, beat the egg whites. Set aside. In a large shallow dish, mix the whole wheat flour, cornmeal, bread crumbs, and the seasonings together until combined. Lay each breaded ring on the baking sheets in a single layer. You’ll have two batches if your onions were large. When all the rings are breaded, spray each with nonstick spray to “seal” the breading, which will prevent the breading from staying raw and allows it to bake onto the onion rings. Bake each batch for 15 minutes, remove from the oven and flip each ring using tongs. Spray the other side with nonstick spray. Then bake for 15 more minutes, or until the onion rings reach your ideal crispiness. Allow the onion rings to sit out for 10 minutes before enjoying this delicious treat. These chicken quesadillas, a favorite of Tex-Mex, counteract that with wonderful avocados and low-fat options for the key ingredients that make a quesadilla so delicious. In 12-inch nonstick skillet, heat oil on medium 1 minute. Add green onion and cook about 6 minutes or until tender, stirring occasionally. Meanwhile, from lime, grate 1 teaspoon peel and squeeze 2 tablespoons juice. Evenly season chicken on both sides with lime peel, 1/4 teaspoon salt, and 1/8 teaspoon ground black pepper. Add chicken to green onion in skillet; cook 10 minutes or until chicken is no longer pink inside. Transfer to bowl; stir in lime juice. Evenly divide chicken mixture and cheese on half of each tortilla; fold over to make 4 quesadillas. In same skillet, cook quesadillas on medium, in 2 batches, 8 minutes per batch or until browned on both sides and heated through. Cut each quesadilla into thirds. 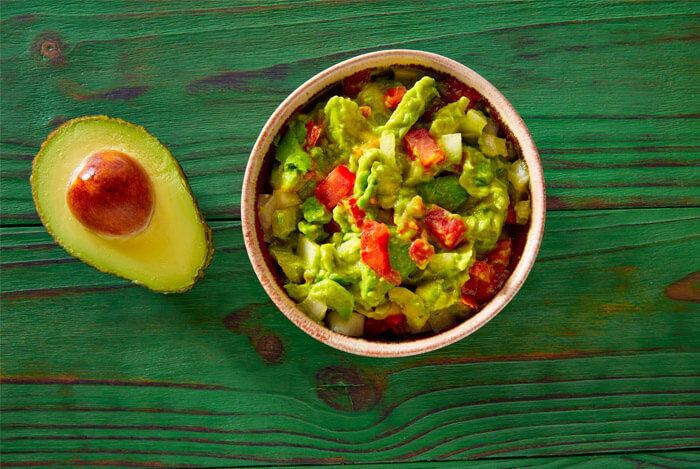 Stir avocado into salsa; serve with quesadillas. 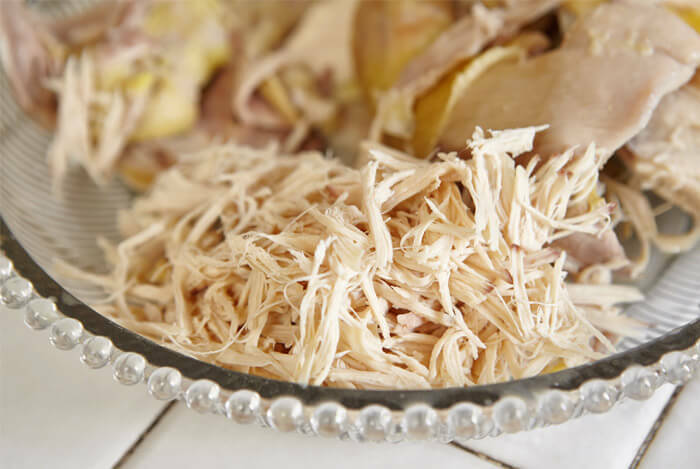 This recipe is sure to serve you up that chicken sandwich you’re always craving from those more unsavory establishments. In a small skillet, cook bacon over medium until crisp, 10 minutes. With tongs, transfer bacon to paper towels to drain. Add chicken to skillet and stir to coat with drippings. In a small bowl, mix together low-fat mayonnaise and garlic; season with salt and pepper. Spread mayo on bread and layer with bacon, chicken, avocado, and lettuce. Top with the other slice of bread. This healthy version of the classic salad is just as delicious and much more healthy. Place lemon juice, mustard, anchovies (or anchovy paste) and garlic in a food processor; process until smooth. With the motor running, gradually add oil; process until creamy. Add 1/4 cup Asiago cheese and pepper; pulse until combined. 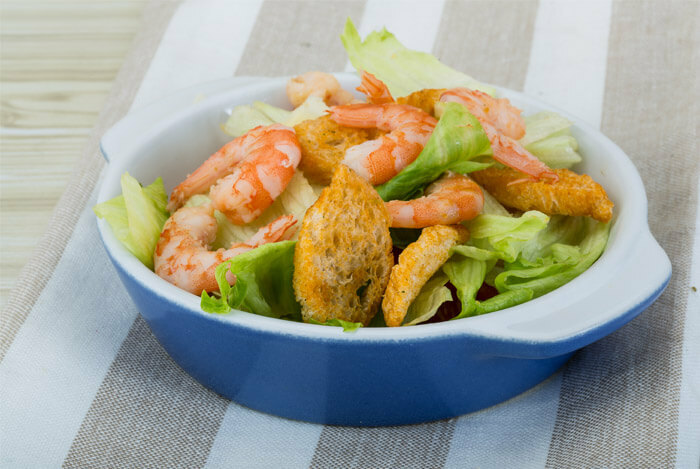 Combine romaine, shrimp and croutons in a large bowl. Add the dressing and toss to coat. Divide among 4 plates, top with the remaining 1/4 cup Asiago cheese and garnish with a lemon wedge. 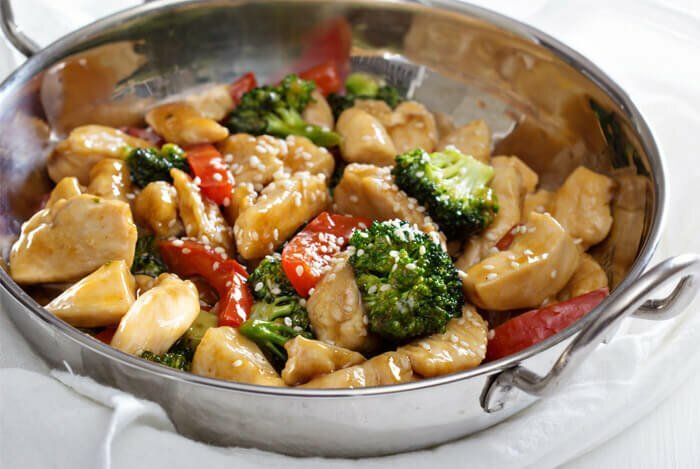 This staple of Chinese takeout can be made in a much healthier fashion. Careful with the soy sauce though. Even in reduced-sodium form, soy sauce can still pack a salty punch. Meanwhile, whisk vinegar, soy sauce, cornstarch and apricot preserves in a small bowl. Set aside. Heat 1 tablespoon oil in a large skillet over medium-high heat. Add chicken and cook, undisturbed, for 2 minutes. Continue cooking, stirring occasionally, until no longer pink on the outside and just starting to brown in spots, about 2 minutes more. Transfer to a plate. Add the remaining 1 tablespoon oil, garlic and ginger to the pan and cook, stirring, until fragrant, 20 to 30 seconds. Add broth and bring to a boil, stirring constantly. Add vegetables, reduce heat to a simmer, cover and cook until the vegetables are tender-crisp, 4 to 6 minutes. Stir in water chestnuts and the chicken. Whisk the reserved sauce and add to the pan. Simmer, stirring constantly, until the sauce is thickened and the chicken is heated through, about 1 minute. Serve with the rice. 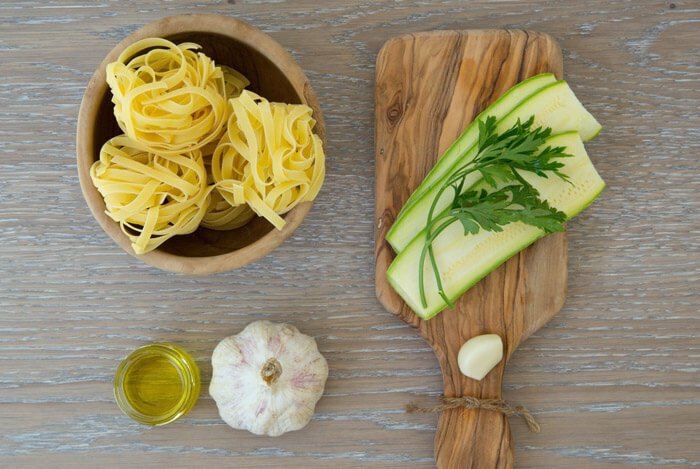 This recipe from Eating Well is a great alternative to restaurant Alfredo, which can pack huge calorie counts and even higher sodium content. Return the mixture to the pot and bring to a simmer over medium-high heat. Add cornstarch mixture; whisk it until slightly thickened, about 15 seconds. 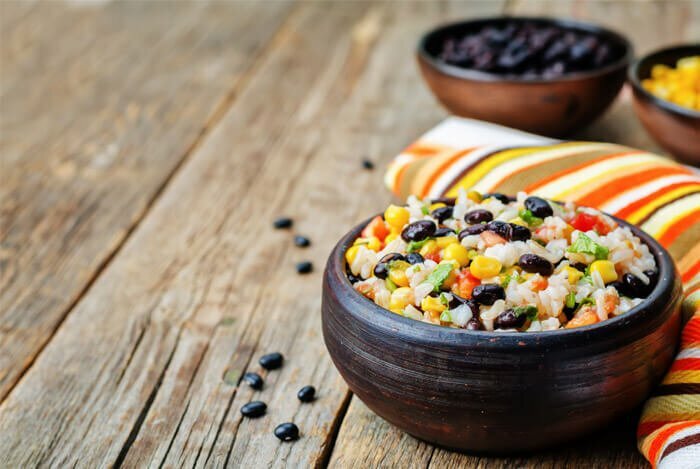 This burrito bowl recipe is a healthy alternative to fast food that will have you wondering why you ever spent so much time and money at fast food restaurants when you could have been making this from home all along. Add beef to saute, cook entirely. Add all other ingredients to pan. Bring pan to a gentle boil. Cover and allow to simmer until rice is cooked (typically 15 – 20 minutes). A favorite of mine growing up. 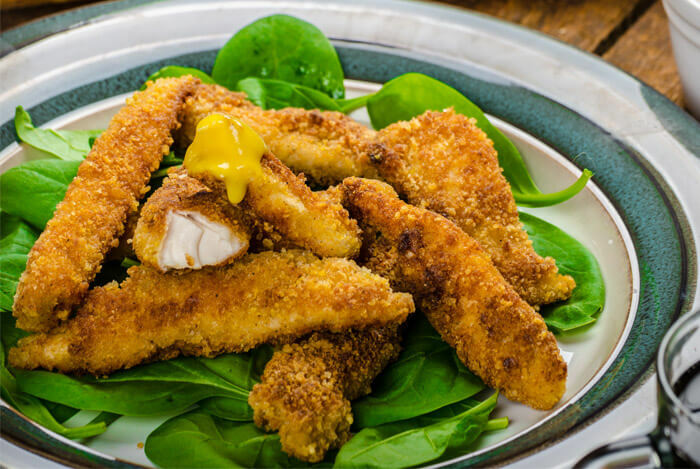 These days, I’m much more cautious with my nutrition, which makes these healthy chicken strips all the more appealing. Obviously not a choice for the vegans and vegetarians, this burger is for the meat lover who wants to limit their calories and fat. And, the tangy yogurt sauce gives awesome flavor without the need for mayonnaise or the other usual suspects in burger condiments. Combine the first 7 ingredients in a small bowl; stir well. Gently combine beef and lamb, being careful not to overwork. Divide the mixture into 4 equal portions, gently shaping each into a 1/2-inch-thick patty. 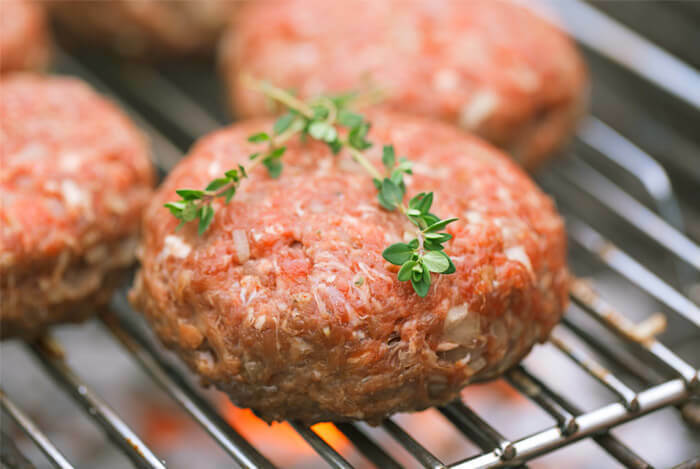 Press a nickel-sized indentation in the center of each patty. Sprinkle evenly with 1/4 teaspoon salt and pepper. Heat a large cast-iron skillet over medium-high heat. Add oil to pan, and swirl to coat. Add patties; cook for 3 minutes on each side or until desired degree of doneness. Place 1/4 cup spinach, 1 onion slice, and 1 patty on bottom half of each hamburger bun. Top each patty with 2 tablespoons raita and top half of bun. See? You don’t have to go to fast food joints to enjoy your favorites. You may even discover a new appreciation for the foods because of these new, healthier versions. What’s your take on these healthy fast food alternatives? Have anything else you’d like to share? Let me know in the comments below!